PALMDALE, Calif., April 3, 2018 /PRNewswire/ -- Supersonic commercial travel is on the horizon. 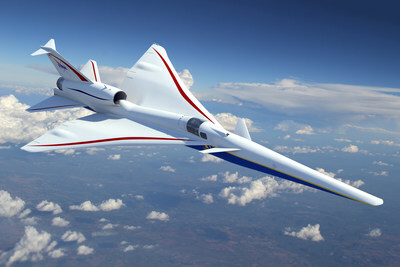 Today NASA awarded Lockheed Martin (NYSE: LMT) Skunk Works® a contract to design, build and flight test the Low-Boom Flight Demonstrator, an X-plane designed to make supersonic passenger air travel a reality. Headquartered in Bethesda, Maryland, Lockheed Martin is a global security and aerospace company that employs approximately 100,000 people worldwide and is principally engaged in the research, design, development, manufacture, integration and sustainment of advanced technology systems, products and services. For more information visit: www.lockheedmartin.com.